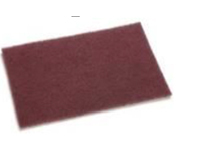 General Purpose surface conditioning discs remove grind marks, rust, and coatings with ease. Made of aluminum oxide. Color coded for grade/grit. 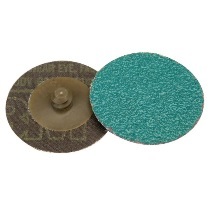 Simply match the diameter, color and mounting style to replace an existing surface condition disc. Made in USA - offers high quality results at an economical price. 3M's Roloc™ - offer the quality you've come to know with 3M. Color Grit Grade Made in USA Qty 3M's Roloc™ Qty. Surface prep disc holders offer firm support for plastic screw style (TR) discs. 3M's Roloc™ SC surface conditioning discs remove grind marks, rust, and coatings with ease. Made of aluminum oxide. Color coded for grade/grit. Simply match the diameter, color, and mounting style to replace an existing surface condition disc. Color Grit Grade Pkg. Qty. The same general purpose surface conditioning disc but offers greater durability and a higher cut rate than basic Roloc™ discs. These 3M's Roloc™ SE surface conditioning discs are ideal for heavy duty deburring and finishing. These 3M's Roloc™ SL surface conditioning discs can last up to twice as long. The same general purpose surface conditioning disc but offers greater durability and a higher cut rate than basic Roloc™ discs. 3M's Roloc™ Green Corps™ surface conditioning discs remove paint, rust, and welds in collision repair. Made of aluminum oxide. Color coded for grade/grit. Simply match the diameter, color, and mounting style to replace an existing surface condition disc. Diameter Color Grit Grade Pkg. Qty. Often used in light welds, blending surfaces, and pre-paint surface preparation, grinding discs have a tough aluminum oxide grain and are made of heavy-duty resin fiber, with an epoxy backing. Use before applying paint and primer. Also can be used for cleaning needs. Rinses clean and won't rust. Can be used several times. Sold individually. Cut-off wheels are used in cutting automotive sheet metal, clamps, frame rails and rusted bolts. Long-life cut-off wheels last at least three times longer then standard cut-off wheels. Use mandrels to convert any die grinder or power drill into a cutting tool. Thickness Arbor Grit Pkg. Qty.